Here’s another one of my creations for the monthly M.I.A. 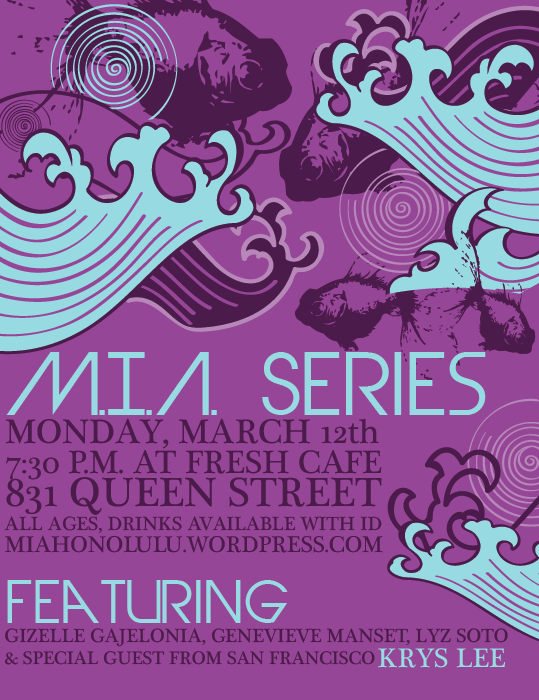 Literary Series at Fresh Cafe. This time, I was feeling a bit cartoonish. I used basic wave vectors and tweaked them a bit. It’s really a basic flyer, but I felt clean lines and eye-catching color would suit the event just fine.